Looking For Christmas Stocking Stuffers? Behind on Christmas shopping and need stocking stuffers? Check out "A Funny Thing Happened On My Way To Yountville" (paperback edition). This collection of humorous wine-centric short stories that … [Read more...] about Looking For Christmas Stocking Stuffers? 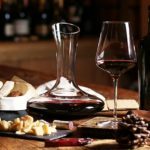 Christmas Gift Ideas For Wine Lovers – View Them All! Still looking for Christmas gift ideas for wine lovers but dreading a hectic trip to the mall? No problem, order online! Here is a re-cap of our 2018 countdown of ten affordable and useful Christmas … [Read more...] about Christmas Gift Ideas For Wine Lovers – View Them All!